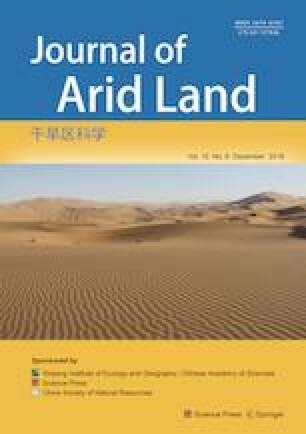 Soil erosion on farmland is a critical environmental issue and the main source of sediment in the Yellow River, China. Thus, great efforts have been made to reduce runoff and soil loss by restoring vegetation on abandoned farmland. However, few studies have investigated runoff and soil loss from sloping farmland during crop growth season. The objective of this study was to investigate the effects of soil management on runoff and soil loss on sloping farmland during crop growth season. We tested different soybean growth stages (i.e., seedling stage (R1), initial blossoming stage (R2), full flowering stage (R3), pod bearing stage (R4), and initial filling stage (R5)) and soil management practice (one plot applied hoeing tillage (HT) before each rainfall event, whereas the other received no treatment (NH)) by applying simulated rainfall at an intensity of 80 mm/h. Results showed that runoff and soil loss both decreased and infiltration amount increased in successive soybean growth stages under both treatments. Compared with NH plot, there was less runoff and higher infiltration amount from HT plot. However, soil loss from HT plot was larger than that from NH plot in R1–R3, but lower in R4 and R5. In the early growth stages, hoeing tillage was effective for reducing runoff and enhancing rainfall infiltration. By contrast, hoeing tillage enhanced soil and water conservation during the late growth stages. The total soil loss from HT plot (509.0 g/m2) was 11.1% higher than that from NH plot (457.9 g/m2) in R1–R5. However, the infiltration amount from HT plot (313.9 mm) was 18.4% higher than that from NH plot (265.0 mm) and the total runoff volume from HT plot was 49.7% less than that from NH plot. These results indicated that crop vegetation can also act as a type of vegetation cover and play an important role on sloping farmland. Thus, adopting rational soil management in crop planting on sloping farmland can effectively reduce runoff and soil loss, as well as maximize rainwater infiltration during crop growth period. This study was financially supported by the National Natural Science Foundation of China (41390464, 41571130083, 41271288).